TOPEKA – Kansans with low income are receiving a little extra help paying their utility bills this month, thanks to the Low Income Energy Assistance Program (LIEAP). Supplemental benefit payments are now being distributed throughout the state. LIEAP provides an annual benefit to help qualifying households pay winter heating bills. Persons with disabilities, older adults and families with children are the primary groups assisted. In the winter of 2015, slightly more than 44,000 households received an average benefit of $412. The supplemental benefit amount varies, but will be approximately 38 percent of the original benefit each household received. Statewide this amount averages to be $157. This year, funding is available to provide an additional benefit to those households for energy costs. This is not a new application period . Households that applied for and received a benefit during the regular application period will automatically be issued a supplemental benefit. Households receiving the supplemental benefit will receive written notice of the specific benefit amount they will receive. Supplemental benefits will be paid in the same manner and to the same vendor as they were for the regular benefit. The supplemental funds are in the process of being dispersed. LIEAP funding is provided by the U.S. Department of Health and Human Services, Office of Community Service through the Federal Low Income Home Energy Assistance Program. 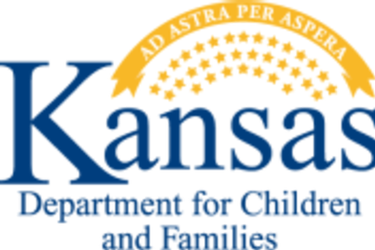 For more information on the Low Income Energy Assistance Program, visit http://www.dcf.ks.gov/services/ees/Pages/Energy/EnergyAssistance.aspx or call 1-800-432-0043 toll free.